Jacquelyn has a keen eye for detail and employs critical thinking to achieve best-practice solutions to a wide range of projects. Her ability to think laterally is a great asset, and she was recognised for her ingenuity and commitment to the profession by being named 2016 Young Professional Engineer of the Year by Engineers Australia. Jacqui has a passion for treatment plant process design and optimisation and enjoys projects where she can be involved from options investigation through to technical advice during design and construction. 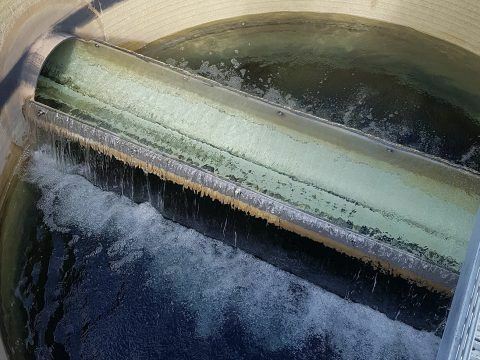 She recently took on a lead process role in the design and specification of a $5.5 million upgrade project at a WTP in central Queensland to add multi-stage organics removal. As part of this project Jacqui was also required to assist with a funding application, prepare the required DA and planning documentation for approval and assist the client with contract negotiations to prevent unnecessary variations. She also wrote a technical paper about the project and outcomes which she presented at Ozwater and was published in the AWA Journal. Jacqui has a broad range of experience across diverse drinking, recycled and waste water treatment processes. This has been consolidated through her work developing Drinking Water Management Plans in NSW and QLD, where she has been involved in several risk assessment workshops and conducted numerous process audits to provide large and small utilities with recommendations for improvement towards best practice operation and management of assets and systems.